Is there a more perfect excuse than your wedding for a new routine to get the best hair, skin, and nails of your life? In the wise words of New York dermatologist, Dendy Engelman, even though we all want to look like supermodels everyday, "a wedding date gives you a deadline, and forces you to start making a move." We've covered Something Old and Something New, but what does Something Borrowed represent? It's been said that if a bride is to borrow an item from a woman in a long, happy marriage, she would be borrowing some of her happiness on her wedding day. Now I know we can't all borrow one of the Queen's tiara's like Kate Middleton, but here are some of our favorite, sentimental Something Borrowed items. The 250-guest black tie wedding isn't for everyone. Whether it’s on the beach, the top of a mountain, your backyard or you're going to gamble it up in Las Vegas - sometimes the best option for some couples is to elope. Yes, running away with our partner is also our favorite form of cardio. Here are our Dos and Don'ts for running away with your special someone. So your Paris wedding is all set. One small problem. How on earth are you getting your wedding dress to France?! Here are our tips and tricks on how to travel with your wedding dress. Boring Cake, Boring Life - We're Just Sayin! Your cake doesn’t have to be classic vanilla, opt for a cake that excites your future life as a committed couple (& one your ready to devour). We've given you some insight into the first steps you should take once you start your wedding planning process. Once you have an accurate sense of budget and guest list, you'll be able to start considering venue and wedding date options. Here are our best tips to help you find the perfect wedding venue on your perfect date. The first of the four things you should finalize before starting your event planning process is your budget. What you (and your families, if they're helping out) are willing and able to spend on the wedding should pretty much dictate everything else. Budgets are not one size fits all, so we've come up with some guidelines to help you come up with a guide that works for you and your event. If you've never been engaged or planned a wedding before, the entire experience can be quite daunting. Where does one even begin? 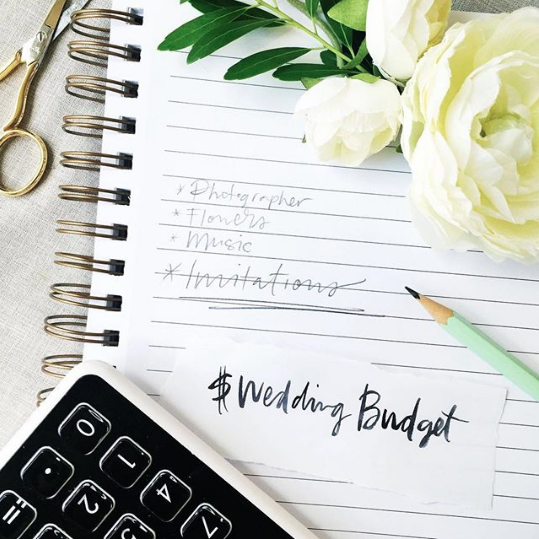 When you finally start your wedding planning, you should have four main objectives on your preliminary To Do List: Budget, Guest List, Venue, and Date. Our First Steps After You're Engaged Guide will help you prioritize your To Do List. A lot goes into making your big day feel special and perfect. Every couple deserves a great wedding planner and most recognize the exceptional value of hiring one. An often poorly understood concept, a "day-of coordinator" doesn't actually exist. Although, many planners use that term, what a couple who is comfortable handling most details on their own and would just prefer to have professional to execute everything, really needs is a Wedding Director. You're engaged! What now? Coming up with your guest list is one of the first things you should do in your wedding planning process. Negotiating who to invite to your nuptials is definitely not quite as fun as tasting cake flavors. In fact, it's probably no one's idea of a good time. To help you select who will join you on your big day, we've put together this guilt-free guide to guest list etiquette. Should You Have a New Year's Eve Wedding? Many couples dream about a gorgeous summer wedding, but what about tying the knot on the last night of the year? Kisses at midnight, glitter, sparklers, endless champagne. It all sounds amazing, but is it a genius idea or an impossible feat? We've put together a list of pros and cons of a New Year's Eve wedding. Your wedding website is an important and useful tool to communicate information to your guests about your big day. It is especially important if you are hosting a destination celebration. We've put together some tips to help you and your guests get the most out of your wedding website as well as make it user-friendly.